Last time, we discussed the stigma surrounding menstruation and how that affects women’s and girls’ lives around the globe. We shared what our own youth coordinators reported about taboos associated with periods in their countries and cultures. The myths and false pieces of information which silence women and girls (and whoever has periods) and create barriers in all spheres of life. These prejudices prevent those affected from fully participating in schools, jobs, and sometimes even in family life. It presents an additional financial expense (and sometimes even a burden on females) in the cost of affording monthly menstrual health supplies. And if all of that wasn’t bad enough, what happens when somebody is fleeing disaster, war, and crisis, when they’re in an emergency situation, and then are getting their period? When that time of the month comes around, there is no choice but to answer. Such a minuscule thing compared to war, and disaster, but yet again another thing to struggle with. Over 30 million girls and women are currently displaced due to conflict and disasters across the world; a record high for the past approximately 70 years. Women and girls are disproportionately at risk of the effects of crises and are more likely to lose their means of livelihood or face gender-based violence. In the aftermath of disasters, their specific humanitarian needs are often neither adequately identified, nor addressed in the ensuing response by governments and humanitarian agencies alike. While women are very vulnerable in crisis and post-crisis setting, they are also one of the most important groups to include in responses to humanitarian crisis. They are amongst the first responders (and are more trusted than men as first responders), distribute resources more equally, have experience coming up with creative solutions. As caregivers, they are familiar with their communities’ needs and can advise NGOs and governments on topics ranging from health care and sanitation to nutrition and water. Women’s meaningful and safe participation in rebuilding communities is crucial. Organizations like ActionAid UK, UN Women and UNFPA have increased their focus on women’s specific needs. For example, in 2016, UNFPA delivered so-called dignity kits to Mosul in Iraq, alongside with food, water purification tablets, jerry cans and other critical supplies for more than 42,000 people. Action Aids explains why menstrual supplies are a priority to provide in disasters: “These alternative methods, like dirty rags, leaves, etc, used by women and girls to manage their periods are often ineffective, uncomfortable and unhygienic. They can lead to dangerous infections, and blood stains which can cause women and girls to feel embarrassed and isolated.” ActionAid sets up female-friendly spaces where they give out sanitary supplies to women and has female-driven teams that are aware of women’s needs and the specific challenges. Periods are normally hidden and not talked about, and without the necessary supplies, periods are very visible. When women have to share crowded tents with men in emergency situations, periods are a huge additional stress since they can’t hide and isolate themselves like they often would normally. International aid organizations and universities have conducted studies that demonstrate the challenges inherent to menstruation in refugee camps. These span from a lack of supplies to the non-existent female-only spaces which are especially important during periods. The study provides suggestions of what the appropriate humanitarian responses can look like in order to meet the basic needs of girls and women in these situations, like providing sanitary supplies and female-only (sleeping and hygiene) facilities. The response teams have limited understanding of women’s needs, and have focused predominantly on supplies. The ongoing secrecy, shame, and taboos that frequently surround menstruation is another main barrier, and having access to safe and private facilities could help alleviate it. Despite the increased attention on how menstruation creates additional burdens to women and girls in emergency situations, the issue is still often left out by aid agencies and governments. In order to fill these gaps, grassroots groups from the UK and Germany have started delivering menstruation supplies. In 2015, acknowledging the dire situation of women in Calais Jungle, formerly one of Europe’s biggest refugee camps in France, a group of three British women set up a crowdfunding page to fill a gap their government failed to address: menstrual health supplies for female refugees. The trio was able to visit the Calais camp shortly afterward, bringing 3,000 sanitary products and clothes for women in the camp. The examples and studies discussed above are a reality for the majority of the women and girls that make up the almost 800,000 Rohingya Muslims – an ethnic minority group, who has fled from the Myanmar military-crackdown to the bordering shores of Bangladesh. From getting their homes burnt down to being forced to watch as their loved ones are killed – the UN has described these barbaric acts as the textbook example of ethnic cleansing. Imagine being forced to flee what was once your life, and your only option is to board a small boat that brings you to the Bay of Bengal, to what you hope is salvation. Now, you’re stuck with hundreds of other people in a refugee camp, emotionally distraught, perhaps facing some kind of post-traumatic stress, and your period comes along. You’re within the walls of makeshift camps, you’ve lost or left behind all/most of your belongings, and you’re sharing space with crowds of people you don’t know. Even without all the stigma surrounding many of our natural bodily functions, let alone periods, this is a dire situation. How can we support menstruating women to have the most comfortable and hygienic experience possible, despite the difficult surroundings? In a bid to change realities, for her 21st birthday, our Director of Communications Fila decided to launch a campaign in collaboration with Humanity Heroes – a local Malaysian network of grassroots humanitarian organisations and volunteering groups working together to help do good for humanity. Fila’s campaign aims to raise finances to provide Sustainable Dignity Kits to the Rohingya women and girls who are close to the borders of Bangladesh and Myanmar. For just $10, the sustainable dignity kits will include 2 pairs of underwear, a set of two washable/reusable menstrual pads that can last between 3-5 years, a bag that they can use to store the items, and a ziplock bag that they can use to soak and clean the pads with minimal water. The goal here is not to distribute thousands of kits – as it is a personal donation effort. 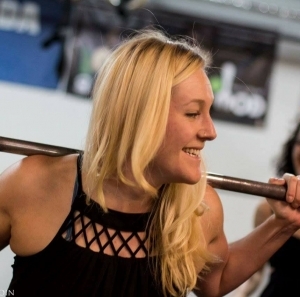 Fila wants to make use of her campaign to provide for as many women and girls as is possible. So far, the campaign has managed to raise a total of $2,000 which equates to 200 Sustainable Dignity Kits. The campaign was set to end on December 1st, but will now be extended to the 15th of December 2017. Once the campaign ends, the items will be purchased through a supplier that we’ve engaged here in Malaysia, and the items will be put together before the kits are delivered to the refugees in Cox’s Bazar through the assistance of the Malaysian delegation that is set to set-up a field hospital approximately 10-15 minutes from one of the refugee camps. Updates on the campaign can be found, here. We may not be able to raise as many supplies as those in need deserve, but for these people who have over 99 problems, this would no longer be one. 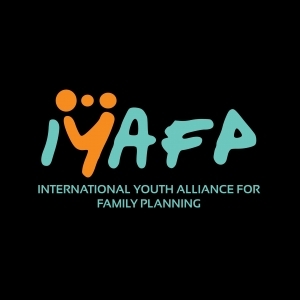 Fila Magnus and Marietta Wildt are Executive Directors of the International Youth Alliance for Family Planning. The IYAFP is a registered 501(c)3 based in Washington, DC. It is a pro-choice, pro-rights organization for youth aged 15–30, no matter where they are from. Marietta graduated with an MA and MSc in Global Studies from the universities of Wroclaw, Poland, and Roskilde, Denmark. Her focus of research was femicide and poetry as a medium of female resistance. After doing research on health care politics in Canada and working in community organizing, Marietta is now based in Germany and uses her background in academia, grassroot activism, and NGOs to improve the lives of youth and women. Fila is currently in her last year of pursuing a BSc in Psychology and Communications at the Upper Iowa University (Malaysia). Driven by the want to make a difference and improve the lives of refugees, children, youths and women, Fila has involved herself across several different organizations that work to do just that. The International Youth Alliance for Family Planning is an international pro-choice, pro-rights organization for and by youth aged 15–30. The IYAFP aims to improve the lives of women and children by supporting sexual and reproductive rights advocacy and the provision of comprehensive reproductive health care services and information.As a registered 501(c)3 based in Washington, DC, their mission is to enable youth to contribute a significant voice and lead projects on family planning and sexual and reproductive health and rights. The IYAFP is an alliance of young individuals, youth associations, organizations, and communities. Together, they build a network of youth empowering each other to become global advocates with the skills, knowledge and resources needed to scale up youth-friendly SRHR initiatives and services.